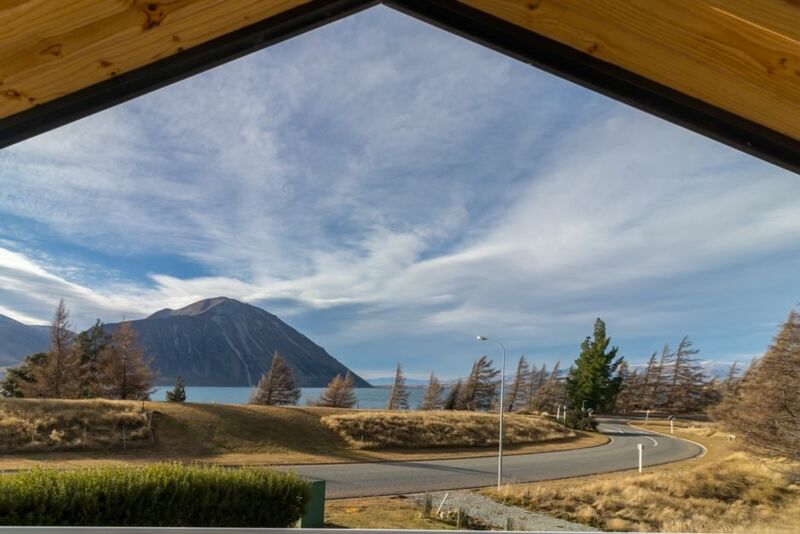 Ben Ohau Retreat is a luxury self contained holiday home, located on the shores of Lake Ohau close to the southern Alps in the tussock strewn MacKenzie country. It provides access to year round fly fishing, tramping and more relaxed nature walks, mountain biking, skiing and the opportunity to observe the rare black Stilt in natural environs. The house has 3 double bedrooms sleeping up to 8 people. The large deck provides marvellous evening views of the sun setting on craggy Ben Ohau and the Benmore Range. Nestled in the lee of the predominant North westerly winds it is not far to go to see lovely views of NZ's highest peak Mt Cook and also locally known as Aorangi. Tramping, mountain biking, lake and river fishing, skiing, bird watching, landscape painting and photography are at your doorstep. Smoking outside only. Bond payable in advance. A magnificent spot which was just beautiful. A magnificent spot which was just beautiful. I started to relax the moment I arrived. This property is amazing. The fire warms the entire living area and the enormous decks are a great place to while away the hours. The bedrooms are very comfortable and the bathroom is clean and very spacious. Wonderful house, wonderful location. Had everything we needed, including a woodburner to keep us all cosy and warm for when the weather took a turn for the worse during our stay. Highly recommend and a place we will definitely look to return to in the future. Many thanks. A very warm, clean and comfortable house with everything required for an enjoyable winter holiday - spacious kitchen and living space, comfortable beds and plenty of heating options. Beautiful, peaceful place to stay, with the icing on the top being the house. Beautiful, peaceful place to stay, with the icing on the top being the house. Warm, welcoming and so, so comfortable. Thank you for letting us stay. The house is an absolute gem. The house is an absolute gem. The outlook is excellent and we found the house to be warm and comforting. It was like being at home.